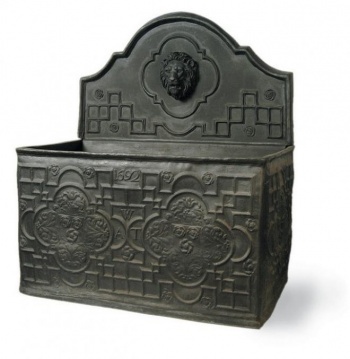 We have adapted our original James II tank to make this stunning water tank. It takes a massive 655 Litres of water, so is ideal for water conservation. Why not make the most of all this water and add decorative floating water plants and irises to the tank, also suitable for fish. Complete with backplate to transform the tank into an atmospheric water feature. We have made this tank in many of our fibreglass finishes, and each looks authentic. 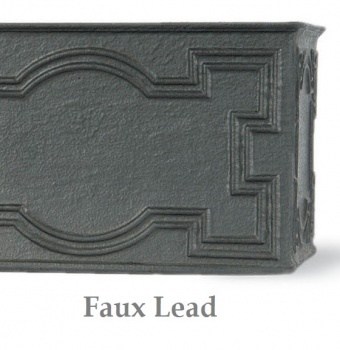 The available finishes are Faux Lead and Antique Faux Lead.